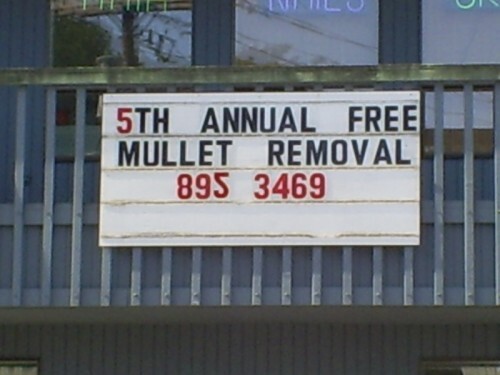 Our small town is trying to get rid of our mullets! Goddamn it. I didn’t get to say “inb4 you’re”. What would they have done if they needed to use the 2 as a 2? The only thing worse than a guy with a mullet, is a chick with a mullet.